A dirt road climbs the long hill to the home where Tracy Nelson Maurer grew up outside of Superior, Wisconsin. Lake Superior looked like a thin blue line in the distance from the hilltop. Tall evergreens and clustered poplar trees guarded the driveway. She spent hours playing in the woods there. Living in the country helped forge her lifelong love for quiet places, books, gardens, and writing. Tracy has researched and written more than 100 informational books, ranging from pre-kindergarten A-B-C books to middle/upper-grade hi-low titles on crafts, sports cars, extreme sports, cheerleading, and other fun topics. Her picture-book biography John Deere, That's Who! (Henry Holt), a Junior Library Guild Selection, was named the 2018 Book of the Year by the American Farm Bureau Foundation, the Wisconsin Ag in the Classroom program and the Indiana Farm Bureau. Another nonfiction title, Noah Webster’s Fighting Words (Millbrook Press, an imprint of Lerner Publishing) was named to the New York Public Library's 2017 Best Picture Book List. Her picture book Storm Codes won the Northeastern Minnesota Book Award Children’s Literature Honor in addition to other recognition. Her nonfiction books for schools and libraries have received favorable reviews from School Library Journal, Booklist, ALA and VOYA; some served as examples in Models for Teaching Writing-Craft Target Skills by writing expert Marcia S. Freeman (Maupin House, 2005). 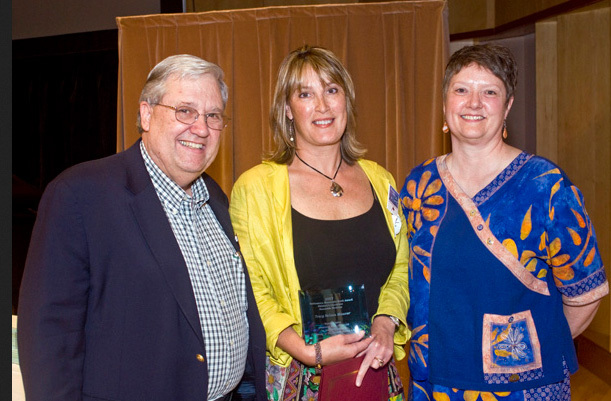 Tracy with the award presenters at the Northeastern MN Book Award Honor for Children's Literature for Storm Codes. 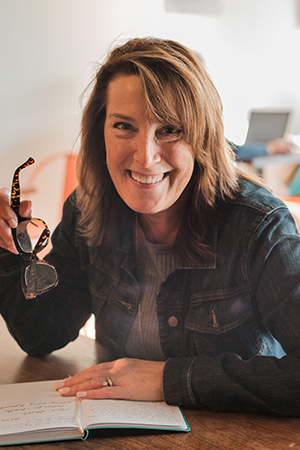 A professional writer for more than 25 years, Tracy also develops, writes, and edits for business publications and websites, as well as marketing and advertising materials. She has led workshops and writing groups, and served as the writing mentor for the Minnesota chapter of SCBWI. Tracy has appeared on the Minneapolis KARE-11’s morning talk show and the PBS-affiliated “Venture North” program. She’s also been a guest presenter at special events, workshops, schools, and libraries throughout Minnesota and as far as Nebraska, Colorado, and California. Tracy holds an MFA in Writing for Children and Young Adults from Hamline University and lives near Minneapolis, Minnesota with her family.